We encourage you to visit our website on a regular basis to see various announcements related to our research interests. Have a look at our calendar so you don’t miss our exciting lunchtime conferences. And feel free to follow us on social media! GRIÉMÉtic is a interuniversity research group focused on information and communication technology-supported testing and evaluation in education. GRIÉMÉtic was set up in 2006 and directed from 2006 to 2016 by its founder, Jean-Guy Blais. Over the course of these 10 years, GRIÉMÉtic became the leading research team in Quebec in the field of ICT-supported testing and evaluation in education. Its members draw on very specific expertise, from a technical as well as a theoretical standpoint. This expertise is now widely recognized, as evidenced by the diversity and quantity of works published since 2006. These publications have focused on the development of various ICT-based systems, in an effort to help address a variety of learning assessment situations in education. Their scientific relevance is reflected by these developments, and their social relevance is demonstrated by their practical applications, which can be seen in various fields and training environments. 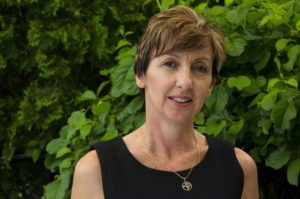 A new FQRSC grant period made it possible to renew the GRIÉMÉtic team, which now includes 11 members from Université de Montréal, École Polytechnique de Montréal, Université du Québec à Montréal, Université du Québec en Outaouais, and Université de Sherbrooke. 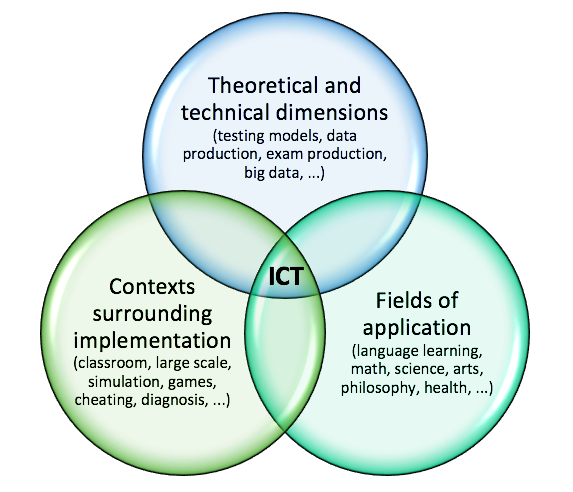 Our current work takes place within the 3 areas pictured on the right, and aims to test a variety of approaches, as well as to further deepen our understanding of issues relating to the multiple ways of integrating ICT to testing and evaluation in education.